ILLUSTRATION: NOAH KROESE: This is what it sounds like when doves cry. Here's the latest comic for Investing.com. It has to do with Janet Yellen's vetting in front of congress as she prepares to take over for Ben Bernanke. 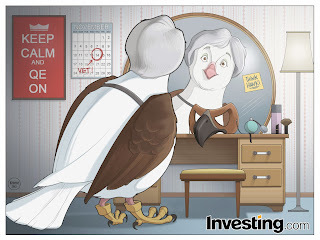 The idea, thought up by the crew at Investing.com, deals with the fact that Yellen is seen as a kind of "financial dove", but she would like to be seen (at least for the purposes of the vetting process,) as more of a financial hawk. I was asked to draw Janet Yellen as a dove dressed up like a hawk. That's a bit mind-bending, if you think about it. 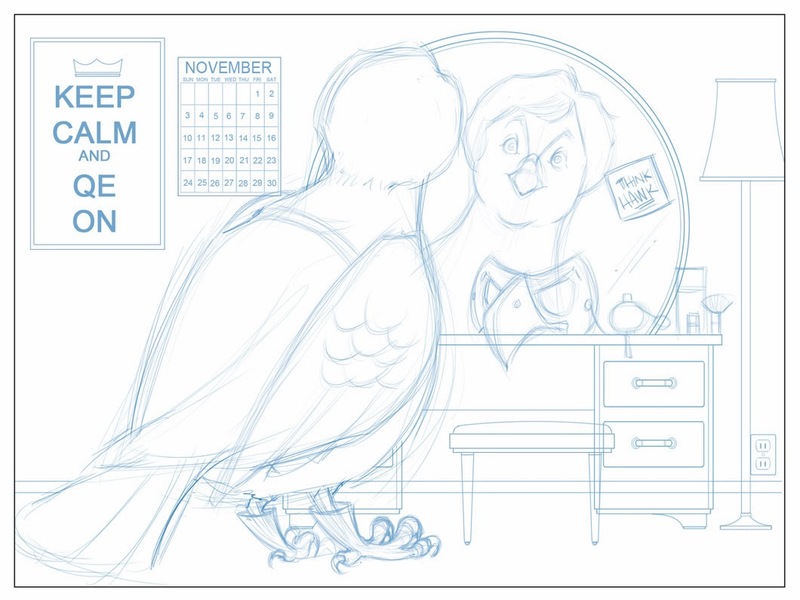 Drawing someone as an animal and still trying to keep them familiar enough to be recognized is no easy task. Particularly if that animal is a dove. A dove has a beak, not a separate mouth and nose like we do, which makes the translation tough. Birds aren't animals we typically anthropomorphize the same way we do other animals. And then I had to show she was dressed as a hawk. This is one of the more unusual comics I've ever done. But it was SO odd that it ended up being kind of fun. To be perfectly honest, it's not one of my favorites. I'm just not all that satisfied with the drawing itself, the composition, or the lighting. I'll go ahead and use the same excuse as always, which is that if I'd had more time I would have done better. Maybe. But some weeks, I'm able to turn out a comic that I genuinely like in the same amount of time. 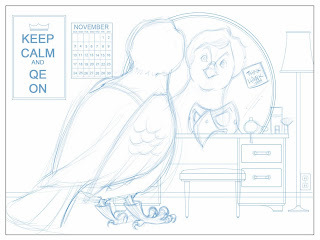 Then again, none of those comics involved me drawing Janet Yellen as a dove dressed as a hawk. All in all, I'd say my performance on this comic is a few twigs short of a nest.